Savoring Kentucky is the main platform for my writing about food. I like the freshness of blogging, and am happiest when working on a blog post. The two books I have written have been side projects to my blog. I doubt cookbook authors need food blogs, but they certainly need an excellent website. My advice: if you love some aspect of the world of food, and long to express that love so others can share with you, write your cookbook. Some of my favorite cookbooks have very small audiences (family, a large friendship circle, a small community.) These home-y, handmade books still change the world and make a contribution. They represent worthy work—if the author really loves the subject. Why not be in motion, doing work one loves? Start writing anyway. Write whether it’s about a recipe or not. Get used to writing. Write for yourself, using a “practice writing” approach (from Natalie Goldberg’s Writing Down the Bones) or “morning pages” (from Julia Cameron’s The Artist’s Way.) If you need encouragement from others or don’t like working alone, form a small writing group or join one that already exists, or form a “completion group” to boost accountability for getting work done. Read Seth Godin’s The Icarus Deception or Linchpin to learn to recognize “the resistance” to producing the work that calls to you, and teach yourself to “ship,” which means to produce in spite of fear, doubt and imperfection. Start a food blog or small email newsletter for friends and acquaintances. Develop and share one recipe at a time. When you see what you can do and how you like to work—even whether you like the actual work—you will know whether to stop sharing freely and start channeling your recipe work into a cookbook project. 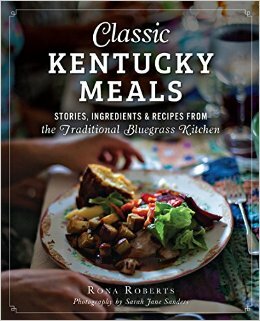 When I wrote Classic Kentucky Meals last year, I began working on the book full-time in March and delivered the book on July 15. The opportunity to have a new book ready for the Kentucky Book Fair in November motivated me. This aggressive timetable organized everything for me. I looked at my calendar and expressly cancelled everything but family obligations. I dedicated the rest of my time to the book. The sharp deadline created focus. Friends and acquaintances showed up to help when the timetable seemed impossible. So, in that case, a reason-driven deadline made all the difference. For Savoring Kentucky, I aim toward two new posts weekly. Some weeks I don’t make it; many weeks I do. The idea that I’ll be posting soon keeps me alert to good blog topics as I live my life, meet people, visit markets, cook, eat, and interact with Kentucky food in everyday life. I love drawing on what I am already doing to create blog posts and share tips, resources, and ideas. I like recipes that are templates home cooks can use to customize the dish, based on what they have on hand. I also like recipes that encourage and empower home cooks to produce splendid, memorable, completely from scratch versions of favorite foods. As a result, I tend to like lots of instructions. For cookbooks, this can be a problem because the length of printed text makes the recipe scary. On my blog, I can make the instructions as detailed as I like, and include as many options and notes as I wish, trusting that more experienced cooks will skim and adapt, while newer cooks will find the detail needed to make the recipe successfully. Tastes vary a lot. Before publication, I have no idea whether people are going to like the recipes in my cookbooks, though typically I have cooked and shared the dishes multiple times before making the recipes formal and final. Later I hear about favorites people cook over and over, like the Sorghum (Molasses) Crinkles cookies from Sweet, Sweet Sorghum and the Braised Lamb or Pork Shoulder in Classic Kentucky Meals. In some cases, people enjoy my cookbooks without actually cooking. Readers tell me they are at least as interested in the head notes for a recipe or the stories behind a recipe, as they are in the recipe itself. Cookbooks make good reading, even when one is nowhere near a kitchen. So there are many ways to develop text and images that please readers. Thank you for publishing this, Maggie. And I do wish we lived closer together, so more visiting could happen. Plus we could undoubtedly spend hours simply enjoying our stories and experiences of working with splendid photographer Sarah Jane Sanders. 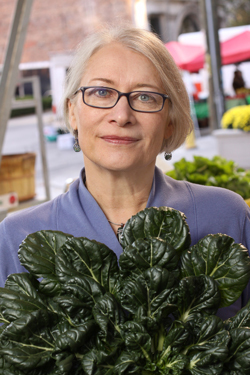 I appreciate all you do, and your amazing, consistent, organized, persistent work toward good cooking for all of us. Thanks, Rona. It was truly a pleasure to work with Sarah Jane and I thank you for recommending her. I hope we can get together soon.